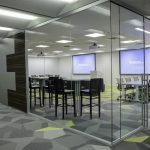 were commissioned to design the new 44,000 sq.ft. 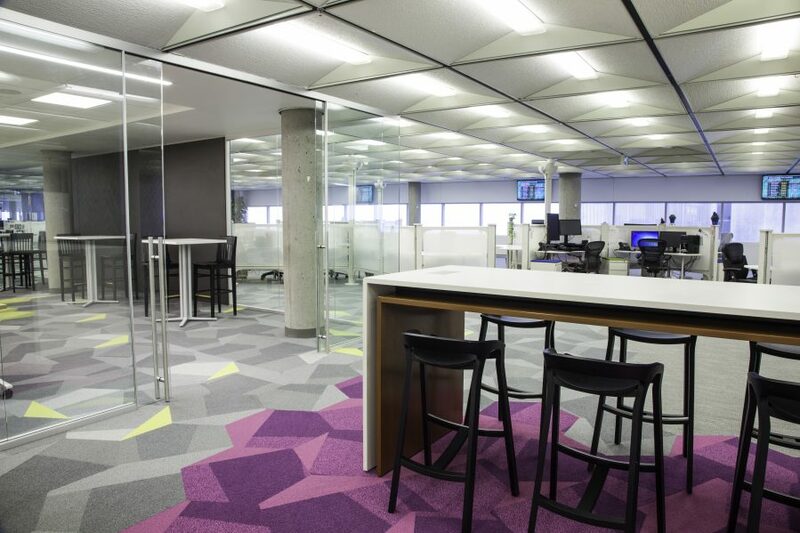 office space for , located at 100 Dundas St. in downtown London, Ontario. 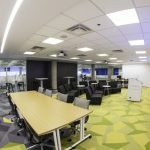 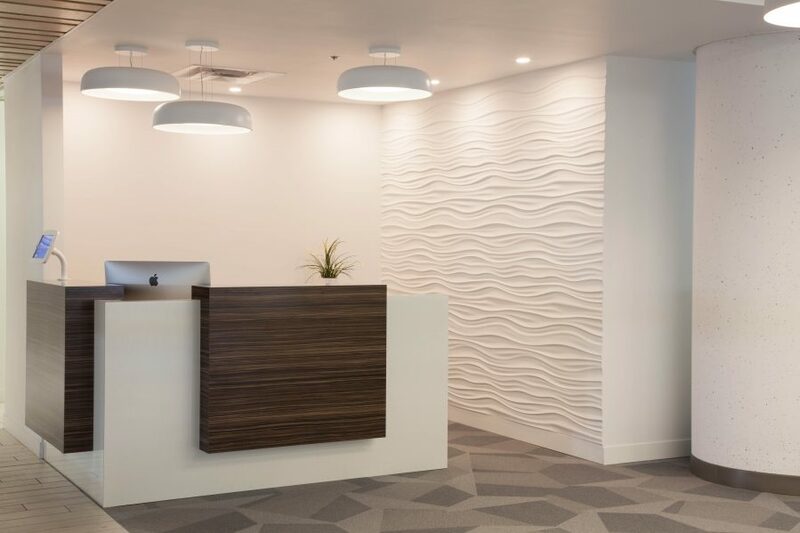 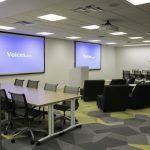 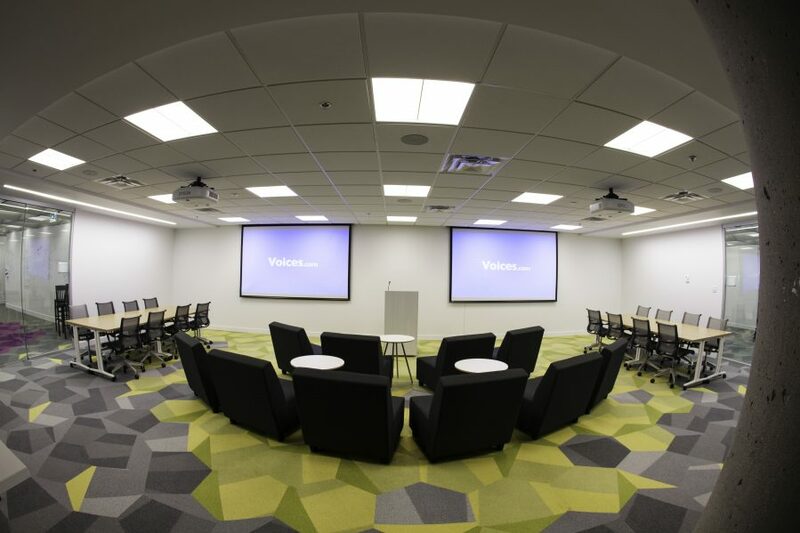 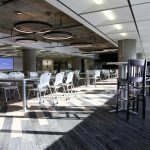 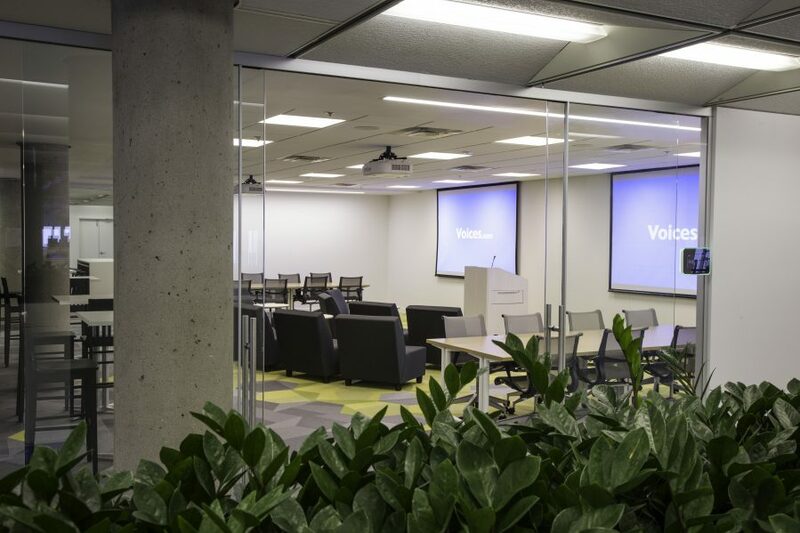 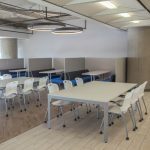 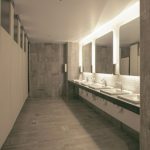 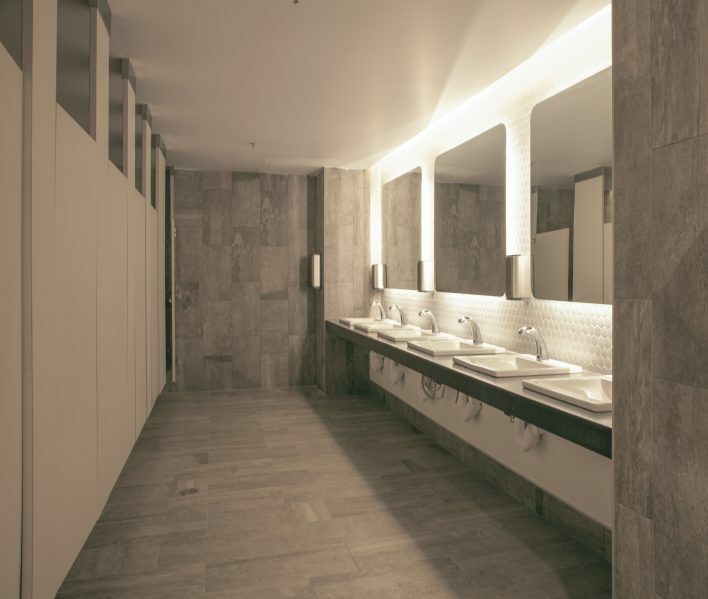 The client was looking to create a space that would accommodate rapid and continued growth in a high-energy environment, while remaining budget friendly. 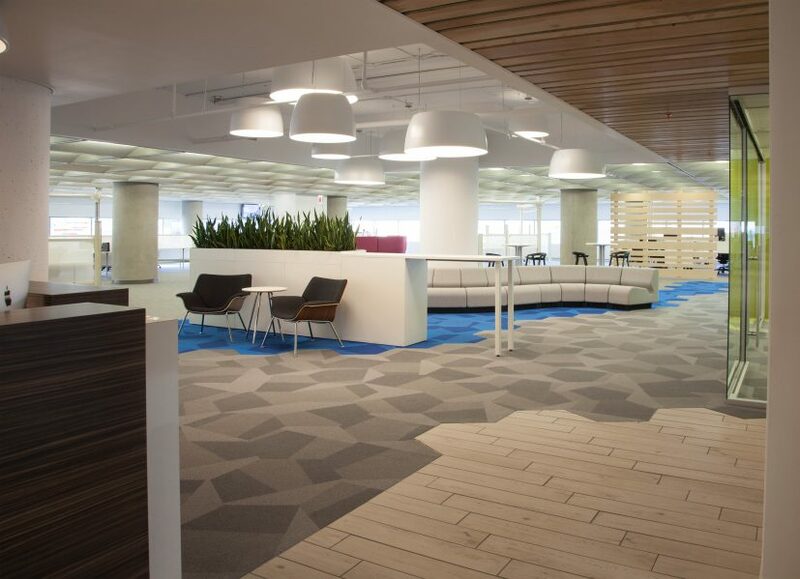 All of this was to be accomplished within a landscape dedicated to pursuing a human-centric approach to design. 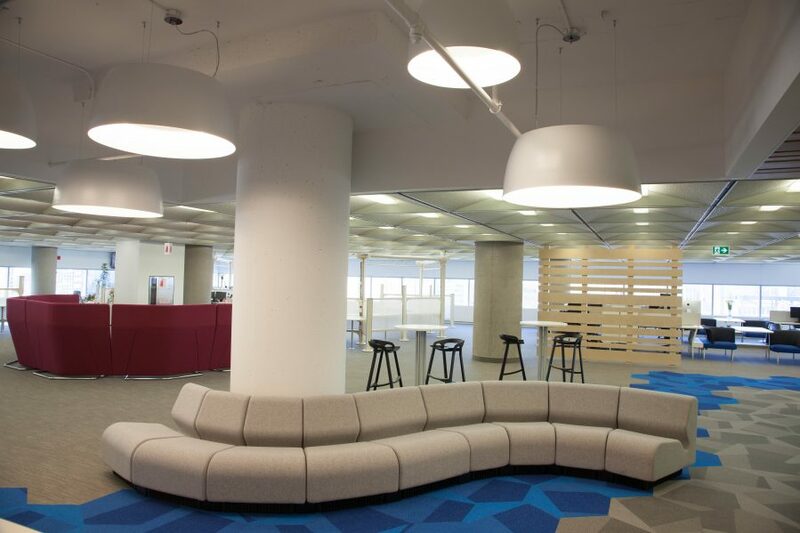 They found this in the Living Office Design Principles, created by manufacturing giant Herman Miller. 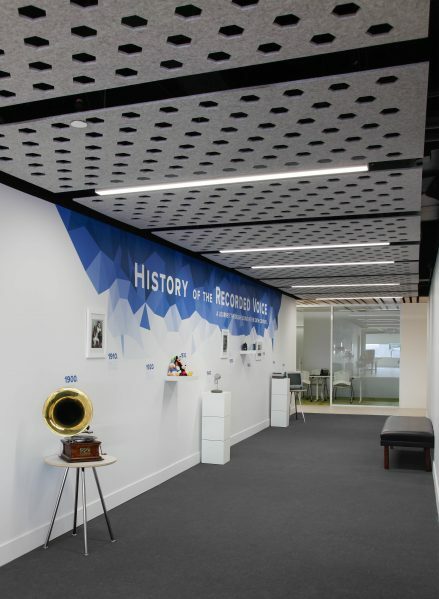 The building’s unique architectural features presented a host of design challenges yet provided many great innovation opportunities. 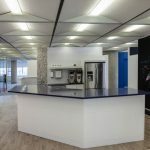 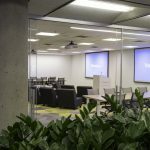 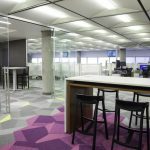 With huge concrete columns throughout and a 5’ x 5’ recessed ceiling grid integrated with lighting and mechanical systems, the space had a distinct retro feel. 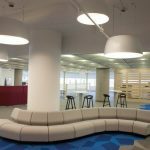 During the project, resourcefulness became a key factor in meeting both budgetary and timeline demands. 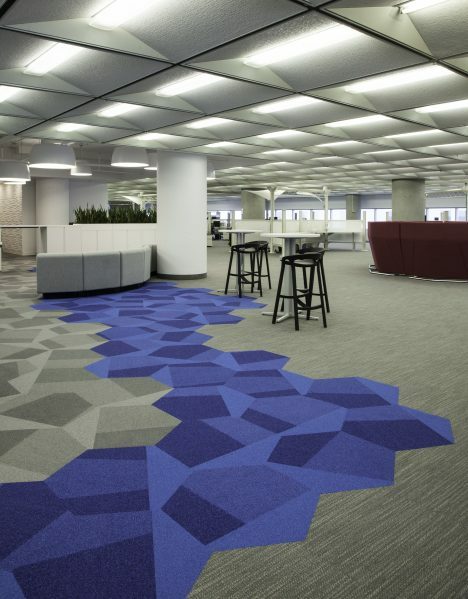 For example, it became necessary to reuse some of the ceiling tiles to repair missing and damaged areas. 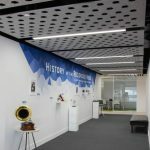 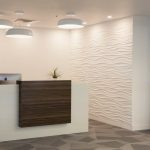 As a nod to the professional voice industry, 37’ long sounds waves, laser cut from acoustical felt panels, were suspended from the ceilings in the main lobby. 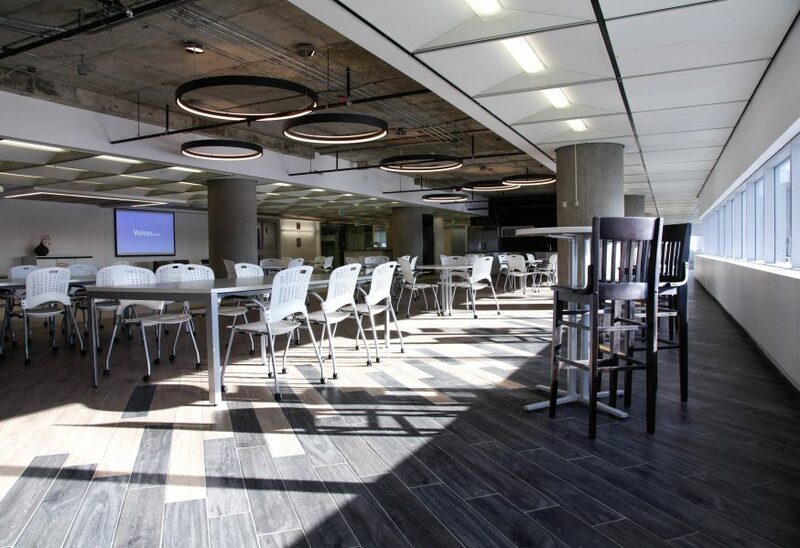 The central gathering space, known as The Plaza, was designed to have a capacity of 300 staff, and strategically located to encourage spontaneous interactions. 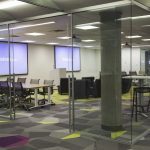 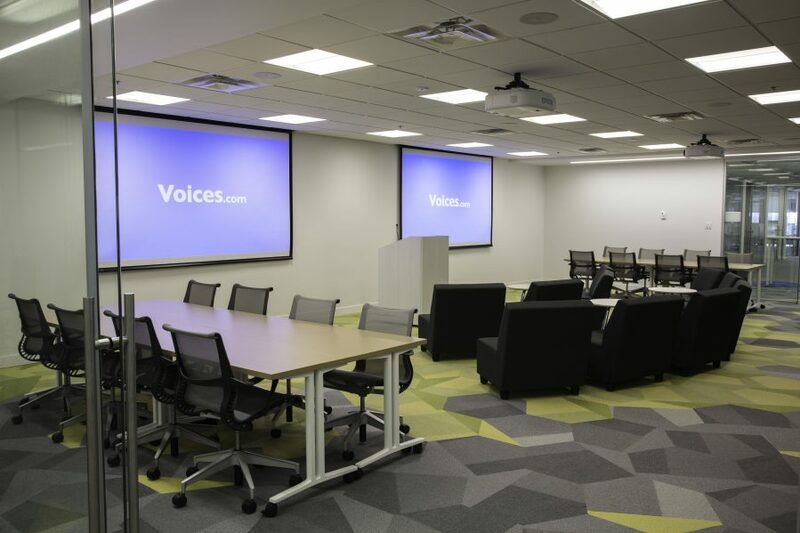 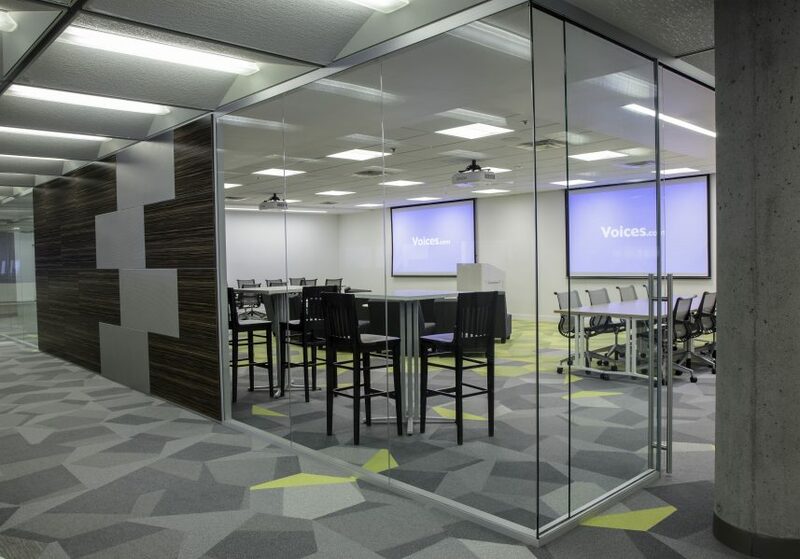 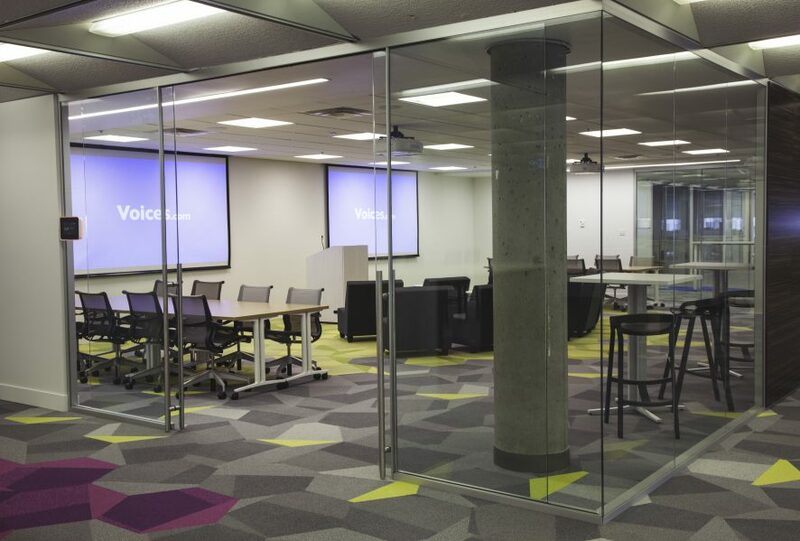 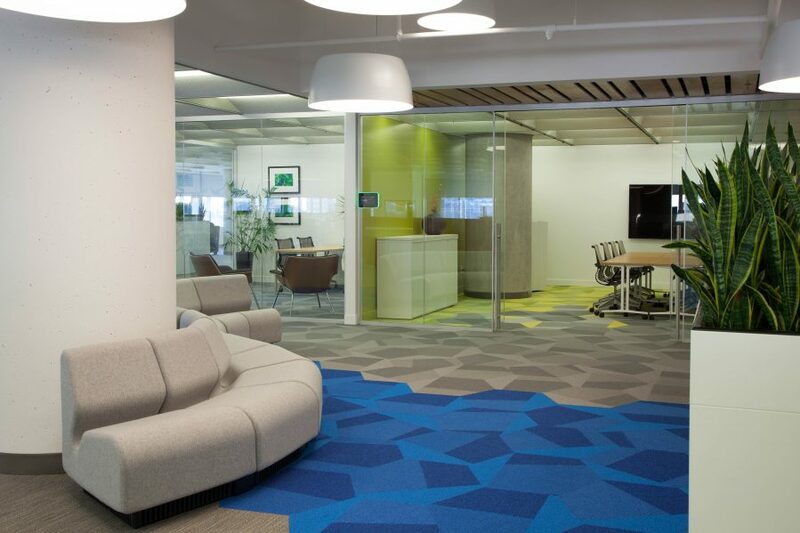 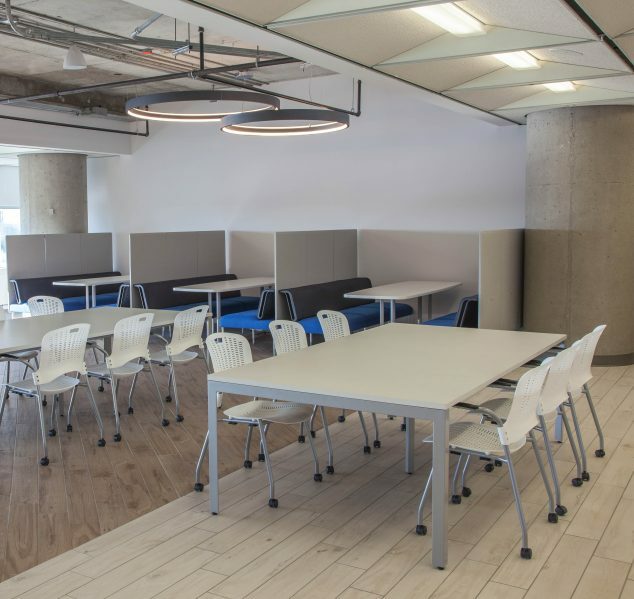 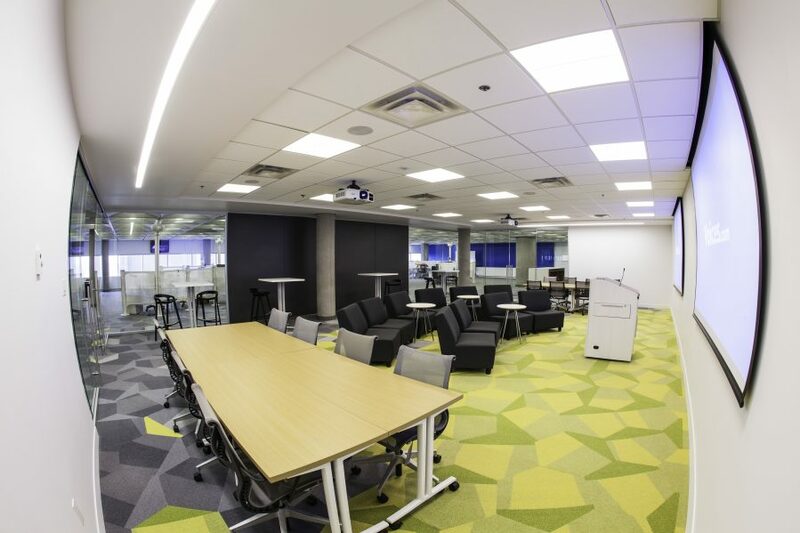 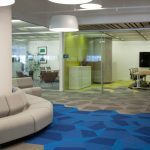 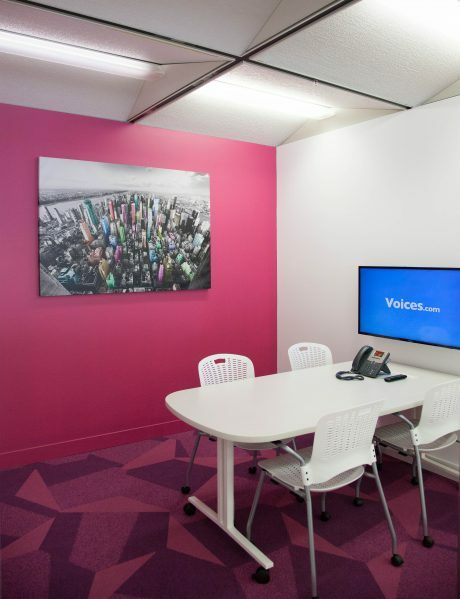 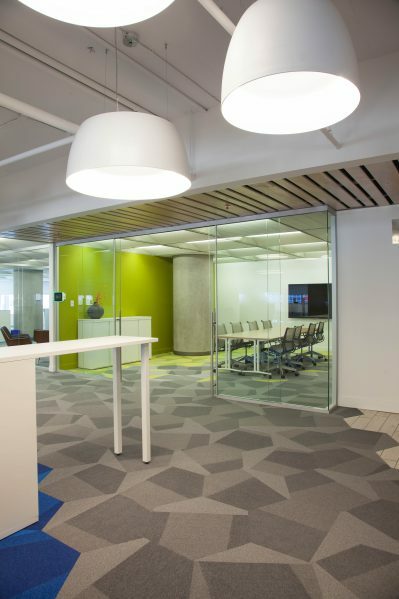 This multi-functional space was to support daily huddles, lunches and casual meetings. 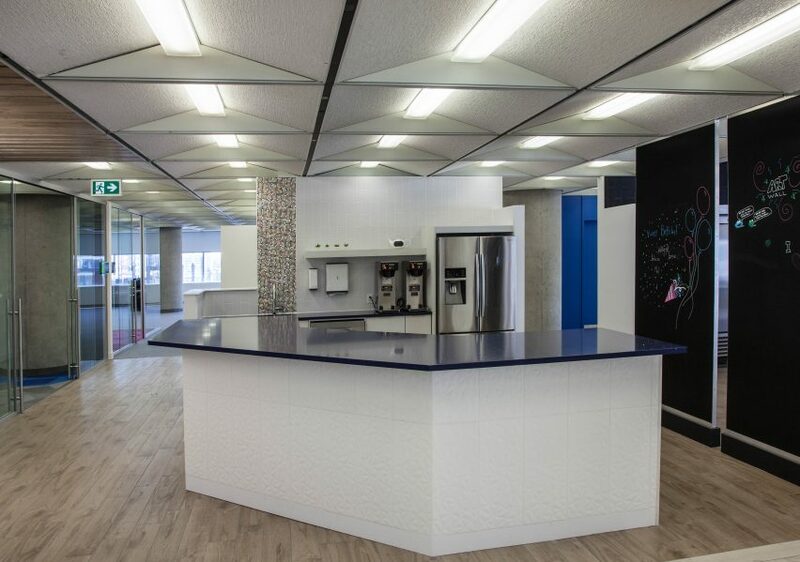 With the Living Office Principles in mind, the coffee bar area was designed to be the heart of the company. 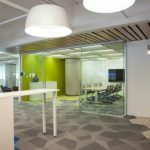 The private offices and meeting spaces were located in the core of the floor plan, so as not to obscure the exposure of natural light that floods in, nor to obstruct the views of the downtown area.